The Nike LeBron 15 is one of the most innovative designs in years. I quietly hoped that the unique silhouette and the all new BattleKnit material will make it somewhat difficult to make counterfeits. Clearly I was wrong. 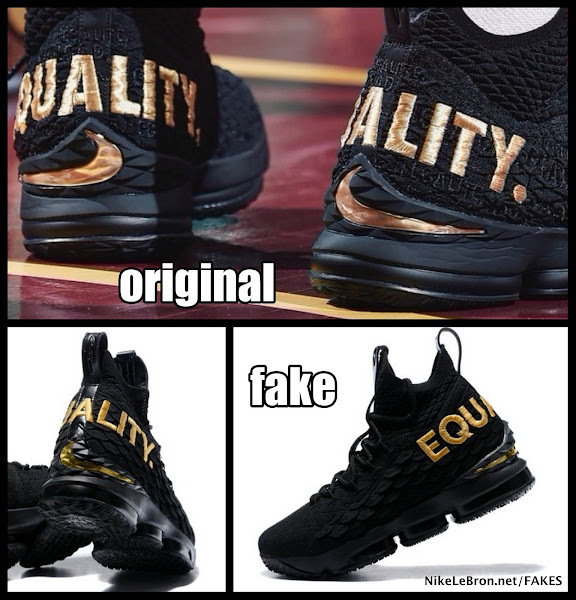 Not only there are tons of fake 15s but the manufacturers are going after the most limited editions and Player Exclusives. This includes the ultra popular Equality colorway, the limited editions from the Kith collab, and numerous PEs like OSU and PK80. Since many of them are very hard to get and there are many people looking for them it’s easier to be on the wrong side of something that may appear like a good deal.